Tiffany Haddish has managed to squeeze yet another project onto her increasingly stuffed dance card; Netflix has just announced that the Girls Trip star is teaming up with the creative team behind BoJack Horseman for a new animated series. Titled Tuca & Bertie, the series—created by BoJack producer and designer Lisa Hanawalt—will star Haddish as Tuca, “a cocky, care-free toucan” who’s friends with a 30-something and anxious songbird (the titular Bertie). As we alluded to up above, Haddish is having something of a moment right now; hot off Girls Trip, she’s currently developing a project with Paul Thomas Anderson, and co-starring in Tracy Morgan’s new TBS sitcom The Last OG, and has a two-year first-look deal with HBO. 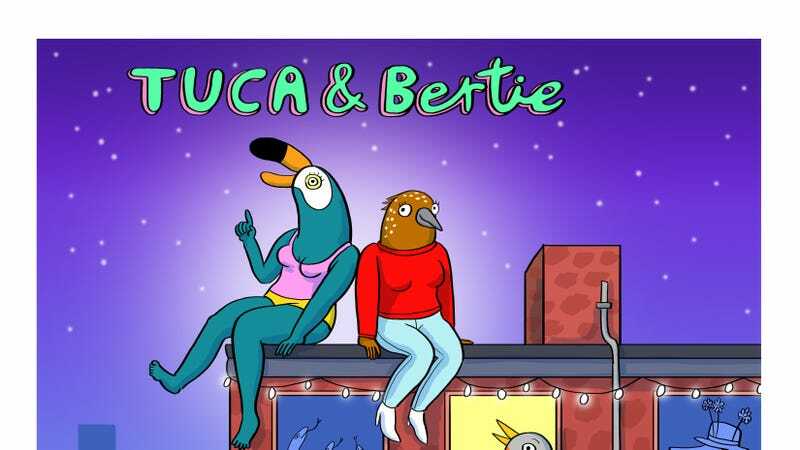 She’s also executive producing the ten-episode first season of Tuca & Bertie, alongside Hanawalt and BoJack creator Raphael Bob-Waksberg, so don’t expect her to get any less busy any time soon.